My husband and I were over at CBS Studios this morning, and since we were nearby, we decided to go to Lala's for lunch. I ate there once before many years ago, and I didn't remember why I'd never gone back. Recently, we'd had several friends recommend Lala's when we were asking what restaurants to try, and this seemed like the perfect time to give it another chance. Parking was probably the reason it took me years to return. There's a tiny lot, and it's valet only. I really don't like giving people the keys to my car, especially when they're just going to park it 10 feet away. 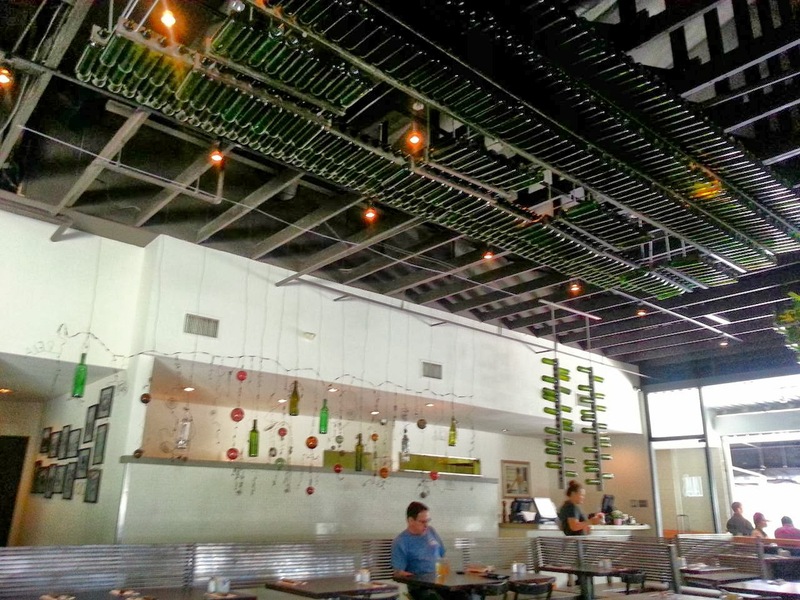 If you're lucky (like we were) you can find metered parking on the street. It was pretty empty inside around 1pm on a Saturday afternoon. We were seated right away, and they brought bread and chimichurri sauce to our table while we looked over the menu. 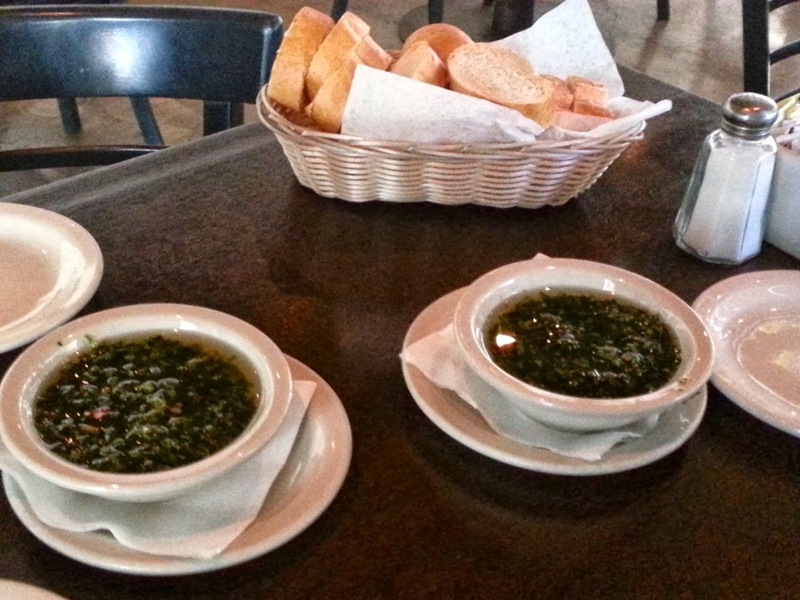 I prefer the chimichurri sauce that my husband and I make. This was too liquidy, but it was still nice to have something to snack on. 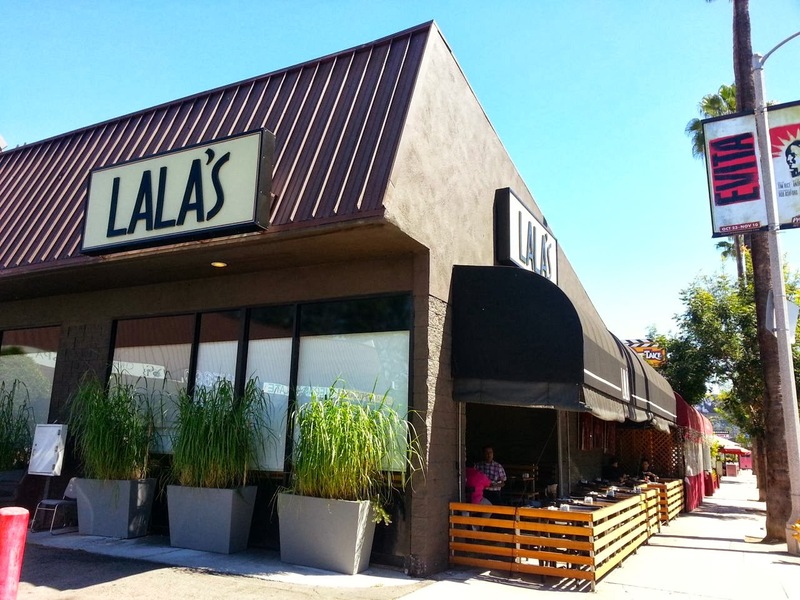 When I went to Lala's years ago, I'm pretty sure I had the skirt steak. I wasn't in the mood for a huge steak dinner at lunch time, so I went with the Con Salmon salad. On the menu, it's described as "grilled, fresh filet of salmon brushed with home-made dijon sauce, on a bed of baby mixed greens, tomato & onion, tossed with balsamic vinaigrette." My first impression when my meal arrived was positive. 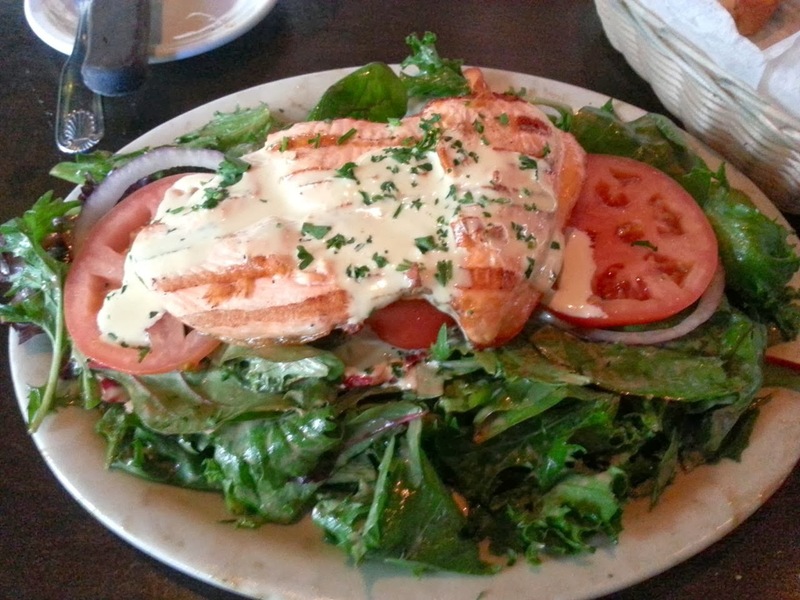 I was impressed at the size of the salad, and it looked like a decent size salmon filet. Then I got to work chopping up the onion and tomatoes. I'd never seem tomato slices on a salad before, but it was easy enough to eat once I cut them up. I usually ask for dressing on the side when I order a salad unless it's a vinaigrette; usually vinaigrette just adds a nice light flavor without making the salad too goopy. In this case, I was wrong. I should've asked for the dressing on the side. My lettuce was drenched. There was also a sauce on the salmon that wasn't mentioned in the menu description. 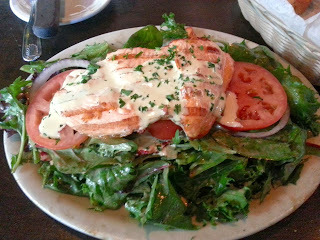 The salad had a nice flavor, and the salmon was well cooked; however, in the future I'd ask that they put any dressing or sauce on the side. 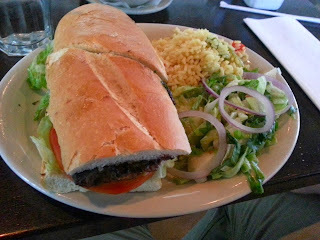 My husband ordered the Lomito sandwich which is described on the menu as "grilled thinly cut Certified Angus Beef skirt steak with lettuce, tomato & Argentine sauce." It came with two sides, and my husband chose rice and salad. I was going to ask for a bite of his sandwich so I could taste it, but he'd licked the plate clean before I was halfway through my salad. I guess he liked it! Just as well. I was getting full at that point, so I let my husband eat what he wanted of my salad. If it hadn't been so sopping wet with dressing, I would've taken the leftovers home, but soggy salad doesn't taste good the next day. Oh, well. Lesson learned. Always ask for the dressing on the side!